Are you searching for a unique and exciting way to hold your next big event? Look no further than booking a private luxury yacht for you and your guests such as those offered by Smooth Sailing Celebrations. When you hold an event aboard a private luxury yacht, you won’t be asked by your guests if the event is “mandatory” or not. The uniqueness and exclusivity of this event venue makes it something that no one wants to miss. Such a special experience will keep your guests raving about your event for years to come. The Smooth Sailing Celebrations luxury yacht experience includes sailing down the East River and the Hudson River, which allows for some amazing sightseeing of the New York City skyline. See more than 15 illuminated landmarks from the water and don’t forget to take a photo with your friends and family when the yacht pauses in front of the Statue of Liberty. Private luxury yacht events with Smooth Sailing Celebrations give guests the option of sailing from either the New Jersey or New York docks. Having this sort of flexibility makes sailing with Smooth Sailing Celebrations very convenient for guests. On-site parking at every marina is also a plus. Smooth Sailing Celebrations is committed to making your yacht adventure as stress-free as possible. With more than 25 years of experience in nautical event planning, Smooth Sailing Celebrations can execute your trip flawlessly, from booking to docking. What would an event be without some fine cuisine? The Smooth Sailing Celebrations executive chefs are always on hand in the boat’s gallery kitchen to prepare a delicious meal for you and your guests. These executive chefs, which have been highly trained over many years, can accommodate all food allergies, as well. The tables, chairs, linens, and centerpieces aboard the ship are all maintained by a dedicated wait staff and bartenders who are there to help make your experience one of a kind. The world-class staff on the boat and its unwavering customer service makes Smooth Sailing Celebrations private luxury yachts an incredible value. 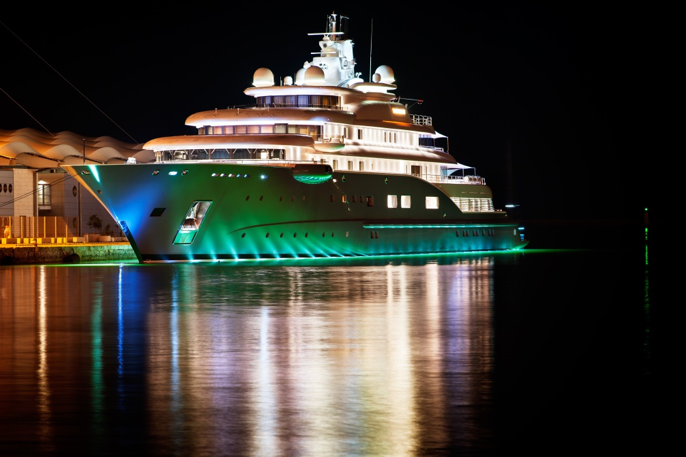 With 45 yachts in the fleet, SSC can accommodate private events of 12 to 1,200 guests sailing year-round. Last, but certainly not least, all of the yachts, captains, and marine crew associated with Smooth Sailing Celebrations are Coast-Guard-certified, and safety is always paramount aboard this glamorous venue.